Restriction on SMS to five per day is not only causing problems for millions of mobile phone users but may also lead to loss of 7-8 per cent revenue of telecom operators for the month, operators' association COAI has said. 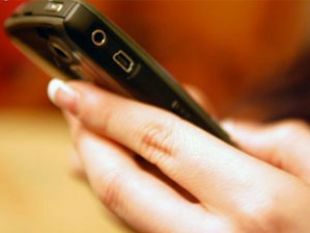 The government had banned bulk SMSes and MMSes for 15 days across the country from August 18 to check spread of rumours which has led to exodus of people from northeastern states from cities like Bangalore, Hyderabad and Pune. There were reports of widespread circulation of SMSes and MMSes containing misleading information about Assam violence, threats to people from northeast states living in other parts of the country and doctored videos. While pre-paid mobile users, who account for over 90 per cent of the 930 million mobile subscriber base, are unable to send more than five messages per day, postpaid users do not seem to be facing any problem. People across the country wanting to wish their friends and relatives for Eid are feeling the pinch of the government order restricting the text messages. "A ban of 15 days means they could lose around seven to eight per cent of revenue this month from this service alone," Cellular Operators Association of India (COAI) Director General Rajan S Mathews said. Operators on an average get 15-18 per cent revenue from data services of which SMS is a part, he said. Mathews, however, added that "all the members will definitely make every effort to abide by the rules, as national security and human lives are at stake." Youngsters are the largest users of SMS and many of them are upset by the restriction. "I wanted to SMS my Eid greetings to friends as it is not possible to call everyone. However, after five messages, I am unable to send anymore messages. As a subscriber, I feel cheated," Pragya Gupta, a student at Delhi University said. The order, which limits the number of SMS' a subscriber can send for the next 15 days, was given after bulk messages were circulated that provoked exodus of northeast people from various cities like Bangalore and Pune. "SMS has become a way of life. As a media professional, I need to stay in touch with industry peers and it is generally over messages. However, with this ban, we are finding it difficult and it is impacting our work," Rakesh Kumar Jha, a PR professional said. He, however, added that "the situation is very sensitive and I can understand the government's decision to ban bulk sms in order to prevent any untoward incident". Subscribers trying to send their sixth SMS received messages like "As per the government's order, your limit is 5 SMS a day". The order however does not cover transactional messages related to banking, financial institutes and railways.